Calling ALL students, parents, friends, families and neighbors! for an afternoon of fun while raising funds to support Rosewood's Library, STEM and garden programs. 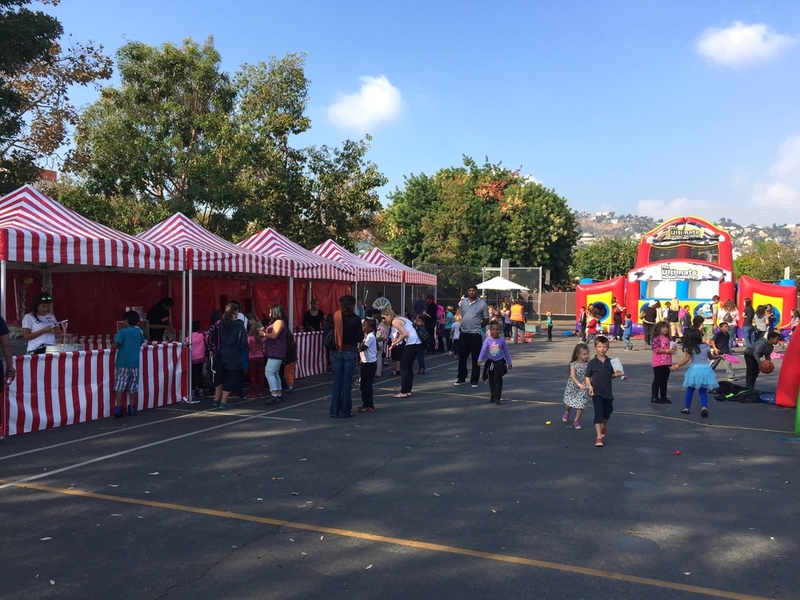 TO ENSURE A SAFE & ENJOYABLE SPRING FESTIVAL FOR ALLWE NEED SEVERAL VOLUNTEERS TO SETUP, RUN BOOTHS, MONITOR INFLATABLES THROUGHOUT THE DAY & TEARDOWN. No matter the sport, World Sports Games has the game kids want to play! Choose from these popular sports activities: football, soccer, basketball, baseball, dart/Frisbee, all under one inflatable play structure. Encourage team spirit and friendly competition as children play their favorite games simultaneously and facilitate variety as participants have the chance to play each sport. 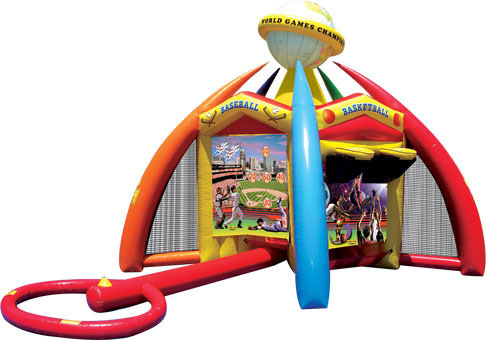 This three piece inflatable has a double-lane slide with tunnel exits and a pair of L-shaped obstacle alleys with pop-ups, log features, pop-outs and a rock climb and slide. This obstacle course is perfect for backyard parties. It has two crawl through holes, two person climber, a two person 5 foot slide, pop-ups, logs, and two crawl through barrels (no jumping area). or drop off your donations in the office.